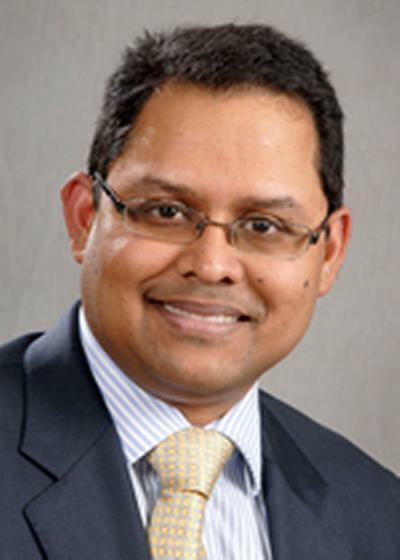 Mr Bhaskar K Somani is Consultant Urological Surgeon within Medicine at the University of Southampton. Mr Somani is the Endourology lead, with responsibility for running the stone clinics, operating lists, MDT and lithotripsy services (SWL). He is a high volume surgeon and performs more than 200 ureteric or renal endoscopic procedures per year, specializing in paediatric stone surgery. Mr Somani published one of the first papers in the world on upper tract PDD using oral 5ALA for upper urinary tract tumour diagnosis. His papers on testicular torsion, erectile dysfunction, haematuria and penile length measurement are among the largest series in the UK. Mr Somani has also published systematic reviews on ureteroscopy in obese patients, patients with bleeding diathesis, patients with very large stones, in pregnancy, in horseshoe kidneys and for stones in paediatric population. Mr Somani is the audit lead for the unit. He is also the simulation and benign urology research lead for Wessex. He has published more than 90 papers and 150 published abstracts in national and international meetings. Mosayyebi, A., Yue, Q. Y., Somani, B., Zhang, X., Manes, C., & Carugo, D. (Accepted/In press). Particle accumulation in ureteric stents is governed by fluid dynamics: in-vitro study using a ‘stent-on-chip’ model. Journal of Endourology. Mosayyebi, A., Carugo, D., & Somani, B. (2019). Ureteral stents: Advances in design and materials. In R. Autorino, E. Liatsikos, & F. Porpiglia (Eds. ), New technologies and techniques in minimally invasive urologic surgery (1 ed., pp. 88). Edizioni Minerva Medica S.p.A..
Rai, B. P., Ishii, H., Jones, P., Chapman, R. A., Stolzenburg, J-U., & Somani, B. K. (2016). Bilateral simultaneous ureteroscopy for bilateral stone disease: a systematic review. Scandinavian Journal of Urology, 23(2), 8220-826. Aboumarzouk, O. M., Somani, B. K., & Monga, M. (2012). Flexible ureteroscopy and holmium:YAG laser lithotripsy for stone disease in patients with bleeding diathesis: a systematic review of the literature. International Brazilian Journal of Urology, 38(3), 298-305; discussion 306. Faculty member of the British Association of Urological Surgeons skills courses in rigid/flexible upper tract endoscopy and TURP.